Smartphones with superior processing powers are now allowing us to do more than just make phone calls and send text messages. 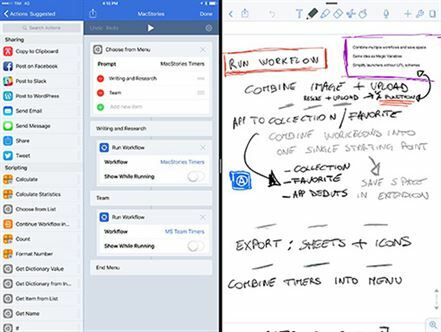 The many available apps are turning our devices into mobile workplaces. There are apps to do just about anything on your Android or iPad including the ability to bookmark PDF on Android, iPad and iPhone and edit a PDF document with ease. There are so many PDF readers with bookmarks for Android, iPad and iPhone that can be used to add bookmarks to PDFs and in this article; we will outline 10 of the best. The following are the top 5 Android PDF reader with bookmarks you can use to add bookmarks on an Android device easily. Adobe Acrobat for Android is the go-to choice for many when looking for a tool to edit PDF documents. With the help of this Android PDF reader, you can easily bookmark PDF on Android. Apart from adding bookmarks to PDF, Adobe Acrobat can also be used to edit other aspects of PDF documents including adding and removing text, annotating PDFs and even signing PDF documents. It has a lot of features to edit PDF documents. Adding and removing bookmarks on PDF is easy. You have to subscribe to access some of the more advanced features. 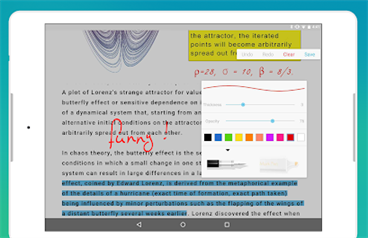 Xodo PDF Editor for Android is another app that you can use to easily edit PDFs on the go. You can use this tool to bookmark PDF files on Android-device. It can be used to complete various editing tasks that include the ability to add new text, edit existing text and even editing images in the document. 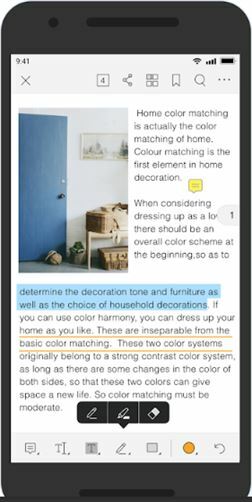 Annotation features that include the ability to add bookmarks, strike-through and even highlight text are also present. It offers a wide range of PDF editing features. You can easily add a bookmark to the PDF. It lacks some of the more advanced editing features including adding signatures to documents. Foxit PDF Reader and Editor is one of the best Android PDF readers with bookmarks feature to edit PDFs on mobile devices, Foxit PDF Reader and Editor comes with a lot of features to help you read and edit PDF documents easily. This means you can clearly annotate PDFs including the ability to add bookmarks. It also comes with a wide-range of PDF editing options. You can also use it to sign a PDF document. It lacks some of the advanced editing features you’ll find on a tool like Adobe. Kdan PDF Reader is another PDF reader that you can also use to bookmark PDF on Android thanks to its annotation feature. Among its annotation features include the ability to strikethrough text, highlight text and even add bookmarks to the document. It makes highlighting and bookmarking PDFs very easy. It has a pleasant user-interface to allow for seamless reading. It can’t be used to edit existing text on the document. You can’t use it to add custom signatures to the document. PDF Max Pro is an Android app that you can use to bookmark PDF on Android device, manage PDF files and even edit PDF documents. You can use the app to add bookmarks, sign the document and even add notes. It is very highly rated among users. It has a lot of editing features to choose from. At $6.99 it is costly as compared to other apps of its kind. The following are the top 5 iPad PDF bookmarks program you can use to bookmark PDF on iPad or iPhone easily. GoodReader is a document reader that can be used to read and annotate PDF documents on your iPad. One of the annotation features is the ability to add bookmarks to the PDF document you are viewing. It also has other editing features including the ability to add signatures ad comments on the document. It makes adding bookmarks on your PDF very easy. It can also be used to add signatures to the PDF. It can’t be used to convert PDF documents to other formats. 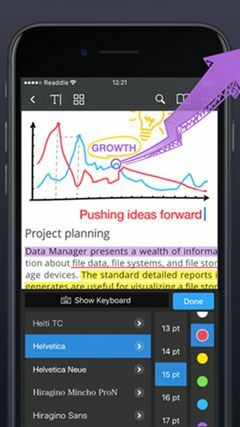 PDFelement for iOS is an iPad PDF editing app that can be used to do more than just add bookmarks to the PDF document. It has a lot of other editing features that include the ability to convert PDFs to other formats and even fully edit text and images on the PDF. It can also be used to convert PDF documents to other formats. You can convert a photo on your device to PDF instantly. It costs about $4.99 to purchase. iAnnotate PDF is another iPad app that you can use to easily annotate PDFs. 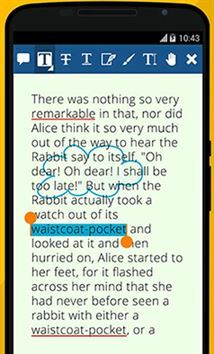 With iAnnotate you can easily strikethrough text on the document, highlight sections of text and even add a bookmark on the document. It has exceptional annotation features. It can also be used to view and annotate MOBI and EPUB documents. At $9.99 it is expensive as compared to other apps. PDF Expert is another PDF editor that you can use to read PDF documents. As you read, the app allows you to annotate the document including the ability to add bookmarks and signatures to a PDF. Adding a bookmark to the document is very easy. It also comes with PDF management features that are great for organizing all your documents. It can’t be used to edit text or images. Notability is still one of the most used PDF editors in the business. That’s because it comes with a lot of features that allow for various annotation and editing features. You can highlight text, sign documents and even add passwords to the document. It is a very capable PDF editor. It allows users to easily add and remove bookmarks to the PDF document. It is difficult to edit text and images. 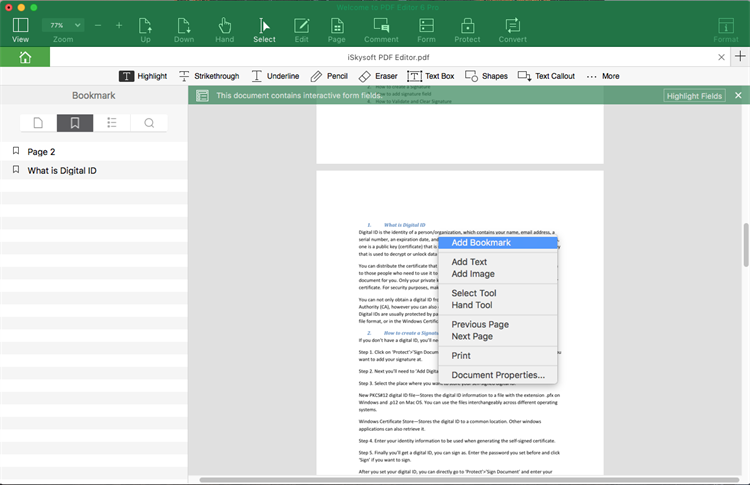 Apps can only go so far when it comes to Editing PDFs, for larger documents, you need a desktop tool designed to edit PDFs and add bookmarks to the document. 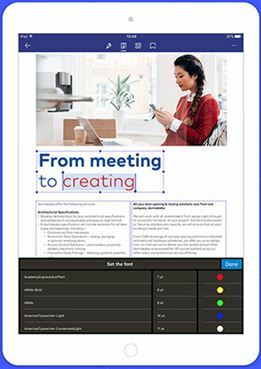 The best desktop tool to use for this purpose is iSkysoft PDF Editor 6 Professional for Mac (or iSkysoft PDF Editor 6 Professional for Windows). You can add, edit and remove bookmarks very easily. Besides, you can also use this professional PDF editor to convert, secure and OCR scanned PDF files easily. 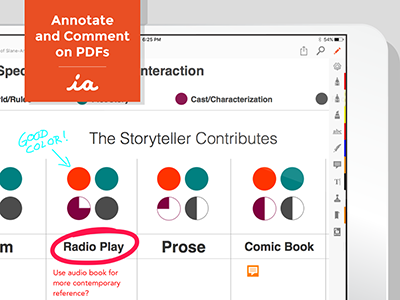 It also has a wide range of other PDF annotation features that include highlighting text, striking through text and even adding notes and comments. You can also use iSkysoft PDF Editor Pro to easily edit the text and images on the document. You can change the font, color and size of the text and even change the size of the images. It also comes with OCR features that can be useful when editing scanned PDFs. It also has notable security features that can be used to protect the document. You can choose to add a watermark or a signature to protect the document. Batch processing features also come in handy for editing a lot of documents at once. You can also use it to convert PDF documents to a wide range of formats including Word, HTML, Excel and many more.